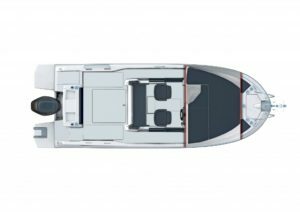 Unveiled in Dusseldorf, the new Barracuda 7, presented as a “fisherman-baroudor” is built on the last hull developed by Beneteau for the outboards range of less than 9 meters and it is available with a mono-motorization between 150 and 200 HP. 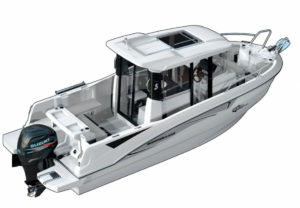 About the layout, the newcomer offers a little more space especially in wheelhouse and cockpit. It has two side doors opening onto large passages to facilitate traffic. On the front, a storage offer a toilet and can be converted into a double bed. 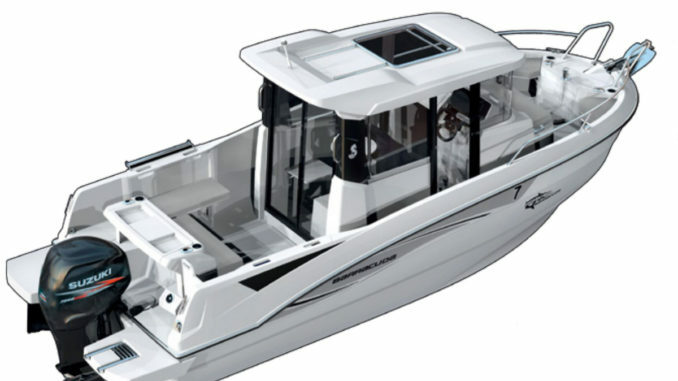 As on the old model, the Barracuda 7 is available in two versions, with a rear door or not. The cockpit has a folding bench seat and you can also install two side benches. There is also a pool and a shower.